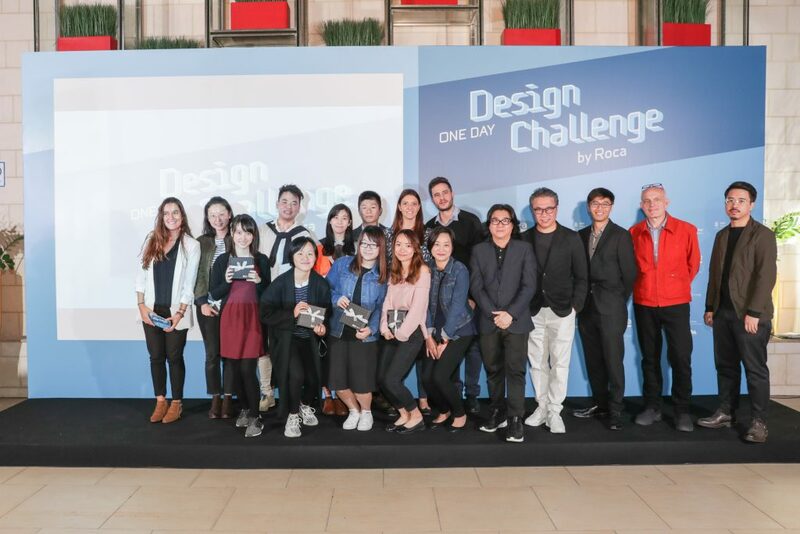 On Saturday, December 2nd, the third edition of the contest One Day Design Challenge by Roca was held in Hong Kong. 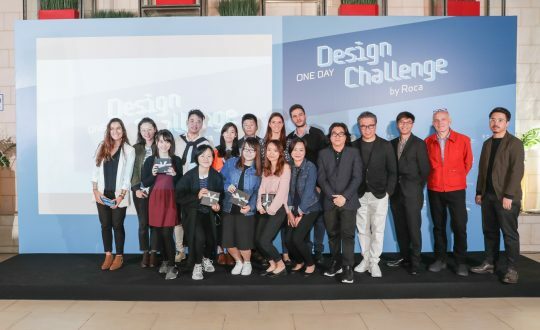 A large amount of students and professionals of the architecture and design sector have met in the city to face the challenge presented by the jury. 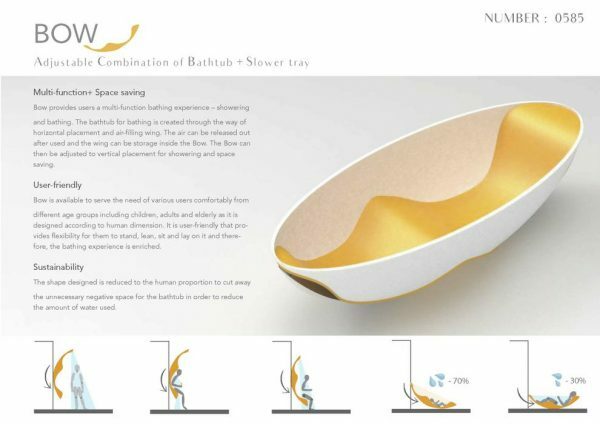 The premise under which the contestants had to work, was to redesign the shower tray, which is largely replacing the bathtub for obvious space saving reasons, but it doesn’t meet all the functions that the traditional bathtub does. 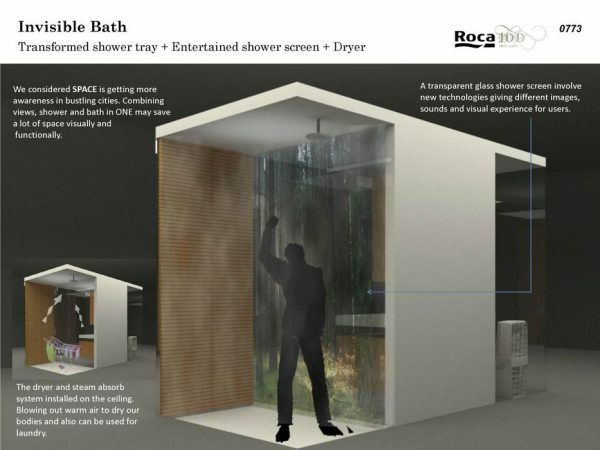 Even more, the shower tray itself and the products related to it (shower screens, faucets…) haven’t evolved as successfully as they were expected, to deliver new functions or enhance the primary ones. So, the participants were asked to redesign this space, the proposal could include new features or functions in any field: storage, cleanliness, user experience, installation, safety, etc. The jury was formed by Eric C.Yim JP, architect, freelance furniture designer, award-winning industrialist and a professor at the School of Design of the Hong Kong Polytechnic University; Joey Ho, Chairman of the Hong Kong Interior Design Association; Leon Yoong, Vice-president of Techtronic Design Asia; Fernando de la Cal, Export Sales Director of Roca Sanitaryware Limited; Matthew Priestman, architect and urban planner; Popo Leung, Chairlady of Education Committee of Hong Kong Interior Design Association and lecturer at Hong Kong Design Institute and Michael Leung, founder of MIRO. 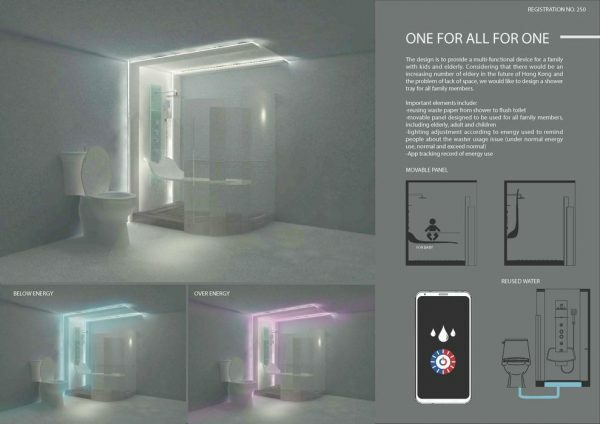 The five professionals decided that Yuen Lau Kwan from The Hong Kong Polytechnic University and Lam Wing Shan from HKU Space International College deserved to be the winners of the contest, they highlighted about the project that it was not only a nice design, but it also took into account the shower/bathing experience. The second prize went to Fan Cheuk Man from Retro Design Ltd and Yung Kai Cheong, Yannis from N. Cub. 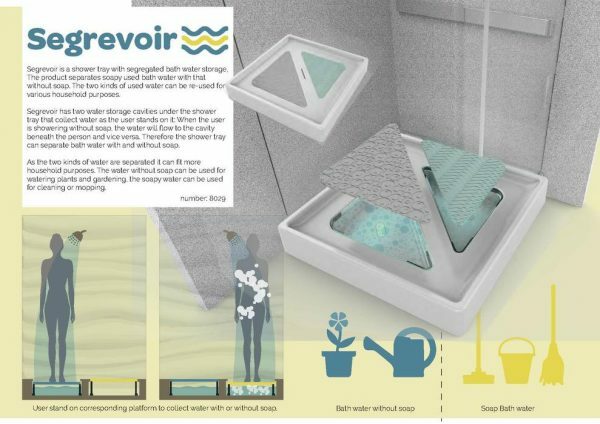 The third place was for Wong Wing Ki from The Hong Kong Polytechnic University and Li Si Ying from The Hong Kong Polytechnic University Design for developing a multi-generational, adaptable, retro-fit and simple project. And the We Are Water Foundation price went to Ng Chak Kwan, freelance, and Chan Ho Yee from The Hong Kong Polytechnic University, the jury explained it was a simple design solution. It addresses water use and recycling and involves the user to participate actively.